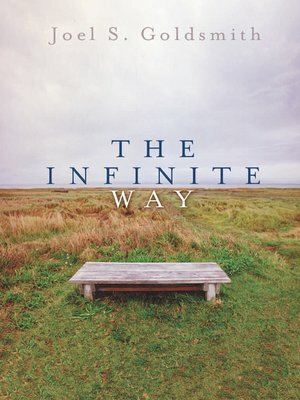 Now considered a spiritual classic, The Infinite Way was Joel Goldsmith's first book. After its publication, Joel said that he was no longer a man with a message, but a message with a man. Joel introduces The Infinite Way by saying, "In this small volume I have written the spiritual truth as I have gleaned it through over thirty years of study of the major religions and philosophies of all ages... Be assured inner peace will come as one turns to the spiritual consciousness of life, and an outer calm will follow in one's human affairs. The outer world will conform to the inner awareness of Truth. The authority for all of this revelation will be you, as you yourself experience this change within and without." The Infinite Way is filled with the spiritual ideas and principles that are the foundation of The Infinite Way message. Goldsmith inspires, and possibly surprises, the reader with statements such as "Immortality is attained in proportion as personal sense is overcome ... and that can be achieved here and now;" "Spiritual illumination enables us to discern the spiritual reality where the human concept appears to be;" and "To many, the word Christ persists as a more or less mysterious term, rarely if ever experienced by them. This we must change if we are to benefit by the revelation of a divine Presence of Power within us. Jesus told his disciples that they too are the Light of the world." In this book, Goldsmith gives the reader the richness of the spiritual principles that constitute the message of The Infinite Way. Readers will find the chapter "Soul" to be one of the most illuminating on that topic in spiritual literature, and the chapters on meditation, prayer, and supply will give the reader a fresh, new perspective on those timeless subjects. Joel himself said that the chapters "The New Horizon" and "The New Jerusalem" are two of the most important chapters in the Infinite Way writings. The section "Wisdoms of the Infinite Way" provides a collection of more than 100 short statements of spiritual wisdom that came to Joel Goldsmith in meditation. "Study the Wisdoms earnestly," says Goldsmith. "Live with them day in and day out. Meditate on them and they will open up a way before you – the way of fulfillment." Goldsmith chose to put this quote from Lao-Tze at the beginning of the book: "There is no need to run outside for better seeing, nor to peer from a window. Rather abide at the center of your being; for the more you leave it, the less you learn." Throughout the ages, this one message has withstood the test of time and continues to ring true today – seek the answer from within, and you will find the Truth. This is the message in The Infinite Way, and it has helped millions look inward and find "the peace that passes understanding."